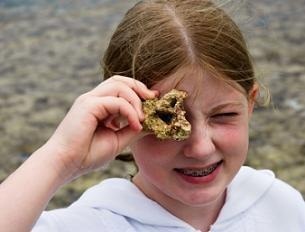 Treasure hunting Maryland can be a fun and different experience on your next family travel adventure. 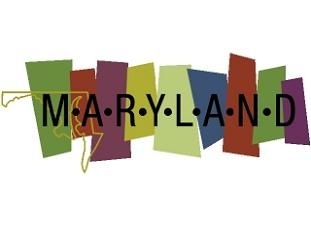 Consider Maryland treasure hunt and find some unusual tourist attractions. 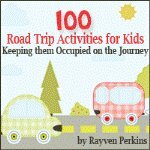 Looking for a great way to bond with your family while on a road trip? Then consider treasure hunting Maryland for an exciting interactive journey that can lead to discovery, fun and creating priceless family memories. Maryland has a distinctive geologic history and human history and a Maryland treasure hunt could lead to unique finds for families looking to avoid the standard tourist traps and destinations. Fossils, lost treasure and gold are all here waiting to be discovered. In Maryland, it is possible to find fossils of species from land and sea. One of the most frequently asked questions by parents engaged in a Maryland treasure hunt is where fossils can be legally collected. One site that offers some public access for fossil collecting is Calvert Cliffs, a cliff face found in Calvert County near Chesapeake Beach. The site is one of the best sources on the East Coast for Micoene marine sediments, life that existed over 10 million years ago and makes this a unusual tourist attractions. When you continue treasure hunting Maryland at the Calvert Cliffs State Park in Lusby, you can take a hike that extends from the cliffs to the beach area. Hundreds of species of fossils can be searched for on the beach, such as bird bones and land mammals. 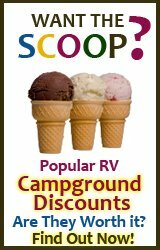 Families can also relax with off road biking or hiking. Lusby also includes the Flag Ponds Nature Park. The public beach site has ancient fossils from the Calvert Cliffs lining the shore. A half-mile hike takes you directly to the beach or you can take a more scenic view through wooded swamps and ocean marshes. South of Chesapeake Beach is Brownie's Beach, the oldest part of the Calvert Cliffs. This unusual tourist attractions sandy beach is covered with fossils, many of which are over 20 million years old. Kids can often pick up sharks teeth right along the shore and you can even wade a few feet into the water to look for fossils. Generally, the best time to look is when the tide is receding. For treasure hunting Maryland rock collectors, the cliffs are also a point of interest. Although it is not possible to dig at the cliffs due to erosion and the possibility of falling rocks, rocks on the beach can be scooped up. Today there are no active gold mines for treasure hunting Maryland, but the state does have some history of gold mining. The earliest mention of gold in the state of Maryland dates back to 1849, when a farmer found gold on his land in Montgomery County, During the Civil War in 1867, a Union solider also reportedly found gold in the Potomac River while washing cookware. Additionally, metamorphic rocks that make up Maryland's Piedmont Plateau naturally contain some gold along with many other minerals. 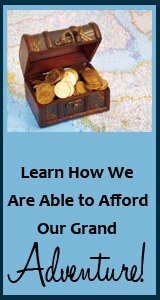 It is thought that by conducting a well thought out search of various regions of the state where gold is known to occur it can become a prosperous adventure for the Maryland treasure hunt families willing to go exploring. To find Maryland gold, knowledge of old gold mines and locations of reported discoveries can be useful. Treasure hunting Maryland locals, for instance, have reported success when looking for place goal in streams in the central region of the state at unusual tourist attractions. Locals have also reported that patient individuals can still find gold in local streams in Montgomery County. Vintage geologic maps and gold mine maps also provide knowledge of areas where gold has been found, these areas probably still contain some gold. At the Great Falls Tavern Visitor Center in Potomac, hiking tours that point out old gold mine shafts and prospecting trenches may be available. One of the more talked about unusual tourist attractions treasure hunting Maryland activities for families taking road trips is the search for buried treasures, and Maryland defiantly has its share of stories. To make the most out of your Maryland treasure hunt, you can do a little research before arriving to hunt down the best treasure leads. Probably the most famous treasure hunting Maryland legends are those involving Blackbeard, one of the most famous pirates of all time. A cohort of the pirate wrote a letter stating that large amounts of the pirates treasure had been buried on Assateague Island near Ocean City. Another legend states that some of Blackbeard's treasure can be found off the Maryland coast. The treasure thought to lie on the ocean floor is supposedly cursed so it can never be salvaged. A Maryland treasure hunt for his missing treasures can be an interesting expedition into the past.